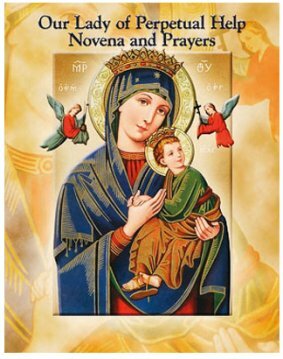 CATHOLIC GIFT SHOP LTD - Prayer Book & Novena to Our Lady of Perpetual Help. Prayer Book & Novena to Our Lady of Perpetual Help. Paperback prayer book and novena for Our Lady of Perpetual Help with beautiful Italian artwork thorough the book. Pocket size with 24 pages.